Cobham SATCOM's services on the new Iridium® NEXT satcom network will be revealed this week in New Orleans, with the North American premiere of the innovative SAILOR 4300 terminal on its International Workboat Show at booth #2435. A compact and rugged innovative antenna system, SAILOR 4300 is designed to enable workboat operators to optimize communications and connectivity for operational and crew purposes, using new high-speed Iridium CertusSM services going live in Q2 next year. Iridium CertusSM is a portfolio of global satellite services powered by Iridium® NEXT, a second-generation L-band global satellite constellation established to deliver a solution for the future of global maritime communications. 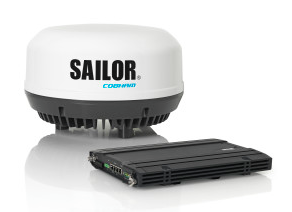 The SAILOR 4300 is a Broadband Core Transceiver (BCX) type terminal, offering a link to the Iridium® NEXT satellite network with speeds suitable for data-heavy applications on Iridium CertusSM services including; videoconferencing, multi-user Internet/VPN, IoT and telemedicine, alongside regular usage including email, electronic forms/reporting and crew communication. Data applications and voice calling have already been successfully tested with the SAILOR 4300 and Iridium CertusSM services at Cobham SATCOM’s development facility in Denmark, using the world’s first vessel motion simulator for communication antennas to replicate conditions at sea while linked to Iridium® NEXT satellites already in orbit. 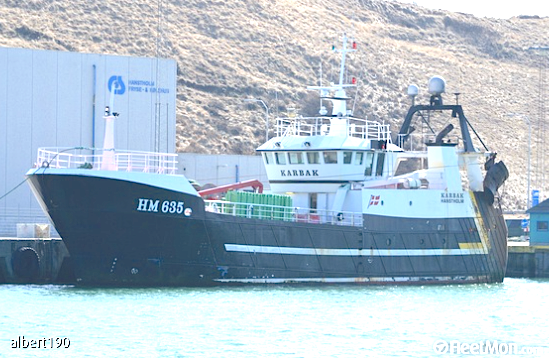 As the International Workboat Show starts, Cobham engineers are installing the first SAILOR 4300 system for live trials on the fishing vessel ‘Karbak’ out of Hanstholm in Denmark, which will operate in the North Sea in the coming months while connected to the Iridium® NEXT network. Anders Tue Olsen, Business Manager, L-Band, Cobham SATCOM stated that testing so far confirms SAILOR 4300’s ability to deliver a reliable connection with seamless switching between Iridium® NEXT satellites while delivering the maximum bandwidth possible. They are looking forward to showing how SAILOR quality can deliver high operational continuity on a low lifecycle cost terminal during live testing in the coming weeks and discussing the potential of Iridium’s new network and SAILOR 4300 to improve workboat operations with their partners and end-users in New Orleans.